Would you like to offer an important service and increase your prosperity? Perhaps you want to promote your primary product or services to your community while helping to solve a major challenge that faces everyone in our society. The Stress Education Center’s Stress Management Training and Certification may be the perfect vehicle for you. If you would like to learn how to earn $1500 for a 2-4 hour stress management seminar or $2500+ for a full day of stress management training, then read on. If you would like to have a part time business that can promote your full time service business, then you might want to read on. To better understand the available market let me ask you some questions. Do you know anyone who is experiencing stress? Do you know anyone who has suffered from stress related health challenges such as: headaches, neck or back pain, insomnia, panic/anxiety, GI complaints, high blood pressure, rapid or irregular heart rates, fatigue, or substance abuse (to name a few)? Do you know anyone who has had their life impacted by stress related emotional challenges such as: loss of concentration, depression, frequent accidents, poor decision making, poor communication skills, lower self esteem, a lack of control, addictions, presentation anxiety, poor performance, and even learning disabilities? Do you know people in sales or service who are not earning what they should because they can not perform at their highest levels? Do you know people with social phobias who have a difficult time getting along with co-workers, clients, friends, family, and effectively dealing with important relationships? Do you know people who seem to have low energy or who are not satisfied with their quality of life? Do you know any parents who may have some concerns when dealing with their children? Any of these may be symptoms of stress. There are people with these issues who are looking for assistance and will pay for coaching or training that will allow them to feel better and function at a higher level of performance. Would it be rewarding to you to work in an important profession that helps people reduce their stress and pain? Can you picture yourself in front of an enthusiastic group of people who are loudly appreciating the information that you have just completed sharing with them? Would you like to travel and get paid to make presentations? How great would it feel to connect with your coaching client and help to create an ideal program that will allow them thrive? Would you celebrate receiving the big checks that compensate for your training and coaching services? Your mail box has a steady stream of checks to pay you for your work. Can you feel the satisfaction of tapping your knowledge and creativity to build a program that benefits many people? Can you celebrate the new information you learn and the great new experiences that you have as you work with unlimited energy in a rewarding and lucrative profession? Does working for yourself excite you? No one will limit your territory or the projects you pursue. You are in control of your time and schedule. Even your volunteer efforts will be rewarding and can also promote your paid work. You be recognized for your great work and ability to assist people. You will be working in a much need field that will be expanding throughout the world. You can accomplish your financial goals more easily by working in this business. You feel good about your work! No boredom because every presentation will be a new challenge. Calls and Inquiries pouring in so you can choose the best opportunities for you. Would you like to offer stress management retreats in beautiful places and benefit your participants? You can make more money in less time by working for $300 per hour. Why do we need stress management more now than ever before? We are told that the stress management techniques that our parents or grandparents may have used are not healthy or appropriate. Remember the “cocktail hour” where sophisticated people would sit and smoke a cigarette, have a cocktail (or two), and talk about the days events before the dinner at home and possible occasional trip to the PTA meeting. We do not have time for this any longer and smoking is now bad for us, dirty, expensive and drinking is dangerous, let alone, a “bad” role model for our children. Heck, we do not have time to prepare dinners and gather the whole family to sit around the table for conversation without media distractions. We must face the fact that, for most of us, or world has changed. One coping strategy that I personally and professionally do not agree with as a coping strategy, is the increased availability and use of coffee/expresso as a tool to keep pace with the frenetic rate of new information and changes in technology. We need better rituals than $3 lattes or expressos. Do not get me wrong, I love technology and new information. I do not think that we as a society have quite been able to cope with the increased pressures other than with “Denial” or convenient and well advertised medications. We do not have practical and functional role-models for living comfortably (and healthy) in the Information Age. We must acknowledge the situation (control Denial) and then develop personal strategies for understanding, and then controlling, our stress levels. I know that by using prevention, you can save yourself time and energy. You can Get Back in Control of your life and improve the quality of your work, productivity, relationships, health, and your future by learning and then regularly practicing the stress management techniques. Please consider using these tools to help promote your well being but also consider the important impact you can have by being a “Healthy” Role Model for the people around you. Co-workers, family, friends, and especially your children need positive examples for surviving in the ever increased fast pace existence that new technology will bring. 20 minutes of deep relaxation or meditation, gentle movement techniques like yoga, breathing techniques, self-hypnosis, or positive visualizations combined with proper nutrition and regular exercise will be the lasting replacements for the “Cocktail Hours” of the 1950’s. In the long run, once mastered, stress management makes you more productive, happier, and healthier. The Baby Boomers are a demographic trend that has driven major changes in our society since 1946 when men returning from World War II started populating the world. Trends developed from bottled baby food, throw away diapers, television, Ford Mustangs in 1966, Mini-vans in the 1970’s, Lexus and Acuras in the 1980’s, SUV’s, Ocean Cruises and adventure vacations, to the glut of communications technologies. We have seen records, 8 tracks, cassette tapes, cable TV, satellite TV, home computers, fax machine, pagers, cell phones, and now “Ipods” come, and some cases go. We have the Baby Boomers to thank for social trends like: rock and roll, disco, polyester clothes, the “New Age,” meditation, the “Morale Majority,” “reality TV,” game shows, the “Youth Culture,” plastic surgery, “fat farms,” social security fears, retirement planning, the mortgage crisis and other stock market trends, increased divorce trends, birth control, Viagra, and drug commercials on TV and the internet. This demographic does not accept aging or even slowing down. They have more stress and adapt to the rapid changes of the “Information Age” as never before in history. They have more stress, more money, and more desire for a better “Quality of Life” than any other previous generation of people. Not everyone would pay for stress management services? Some people are still in denial. Some people want to medicate themselves with alcohol, prescriptions, or drugs. Some people just want to sit in the dark and complain. But the Drug Companies are cashing in on “fixing” stress related problems. Would education and prevention be a better long term solution? Are there fewer side effects and lower long term costs to using stress management? Do the young people of this world need healthier and more positive role models? Who will lead the way? How many leaders will it take? Physicians do not have the time to work with people and to teach stress management. That is why they write prescriptions and medicate their patients. Few people are trained and prepared to offer professional stress management coaching or training. Even fewer are certified and have demonstrated that they can provide quality, professional stress management services. You do not have to be a “rocket scientist” or doctorate level person to teach people how to incorporate effective stress management techniques into their clients’ lives. It helps if you can communicate well. It is better if you truly care for your clients. But if you learn the material and are open to developing some business skills, you can be successful as a stress management professional. If you already are health care professional, teacher, coach or trainer, you may have skills and experience that will allow you to be successful more quickly in this field. But you can develop the skills that are required to reach out to your clients and do the necessary business activities. Since there are millions of people who can benefit from this service, there is a great deal of room for more professionals. In fact, the more people who are working effectively in stress management the more momentum for these services can develop. You can choose to work with individuals or you can work with organizations, if you can translate these services into profit making trainings for these companies. Why is the Stress Education Center’s Stress Management Training and Certification the very best? Since 1978, the Stress Education Center has offered stress management services. Originally, the practice was mostly professional referrals working with clients who suffered from stress related health problems. In 1981, L. John Mason, Ph.D.’s first book was published. The best selling, “Guide to Stress Reduction,” (published now by Celestial Arts of Berkeley, CA) has lead the way in offering stress management techniques to people around the world. With its publication, calls starting coming in for stress management training for companies, trade organizations, and stressed out business people. The training and coaching programs were developed to help business with productivity, quality of work life, accident prevention, health care cost reduction, and enhancing sales and customer service. A series of stress management CD’s and programs (which include biofeedback technology) were developed as a product line and to assist clients with convenient follow through usage of the stress management techniques. The Health Series includes CD programs for: Chronic Pain, High Blood Pressure, Insomnia, Prenatal Care, Headaches, GI Complaints, Panic/Anxiety, Healing, and Pre-Post Operative Stress Management. The Business Series includes: Commuter Stress Management, Time Management, 10 Minute Stress management for the office, and our “Overwhelmed: ReBoot Now!” CD. These materials can assist you in your coaching or training and can become a profit center for your business. As Certified Professional from the Stress Education Center you will be able to purchase these materials at wholesale cost and sell them to your clients at Retail. Or, you can get an affiliate fee for referring product customers. Certified professionals from the Stress Education Center can also become part of our referral network. When contracts are developed, we will be able to use our trained professional to work with our clients, using our formula for a consistent program. You may profit from the Stress Education Center’s reputation and goodwill. The Stress Management Training and Certification program includes an emphasis on business promotion skills. In fact, your training is targeted for the market that you want to work professionally within. For example, a retired policeman was trained specifically for working with the population of “first responders” which include police/law enforcement personnel, fire personnel, and emergency medical personnel. He now offers training to police and sheriff department personnel. A health and fitness coach was trained specifically for bringing stress management and health/wellness programs into businesses. A group of clergy was trained to work specifically with people on North Sea Oil rigs. How much does this Training and Certification cost? 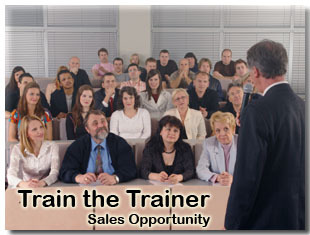 This professional training is designed to pay for itself within 2-3 professional engagements. At present, the price for training and certification is only $2995 for individuals for the 45 hours of training. Each of the stress management training programs are tailored for your specific requirements. Most of the trainings are conducted by tele-conferencing, coaching, and internet based training. After the training additional coaching and support is available. Some business coaching has additional fees based on your needs and the commitment of time. Contact us for any additional information regarding fees, program structuring, and for sign up. Call (360) 593-3833. Ask yourself if you wish to work in this expanding service business and how much money you would like to make providing these services. Then contact the Stress Education Center to get started.